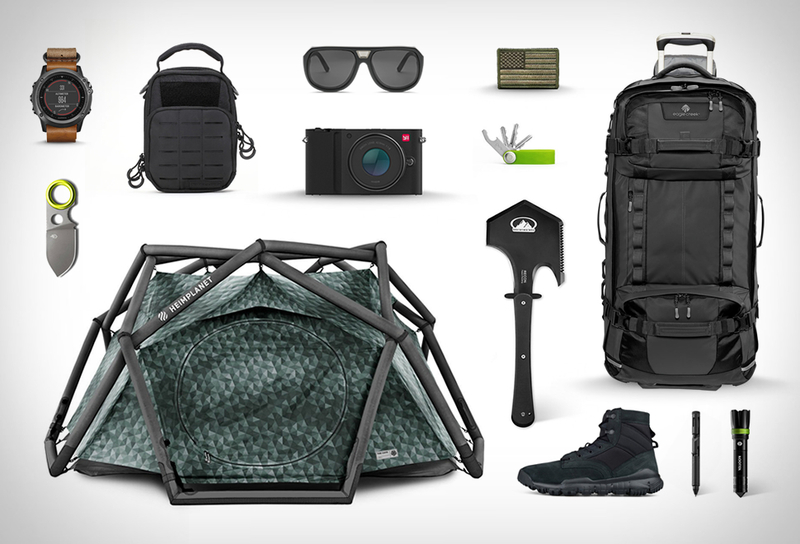 The PRVKE is a heavy-duty bag that’s built to withstand the test of everyday commutes, far flung adventures, and everything in between. 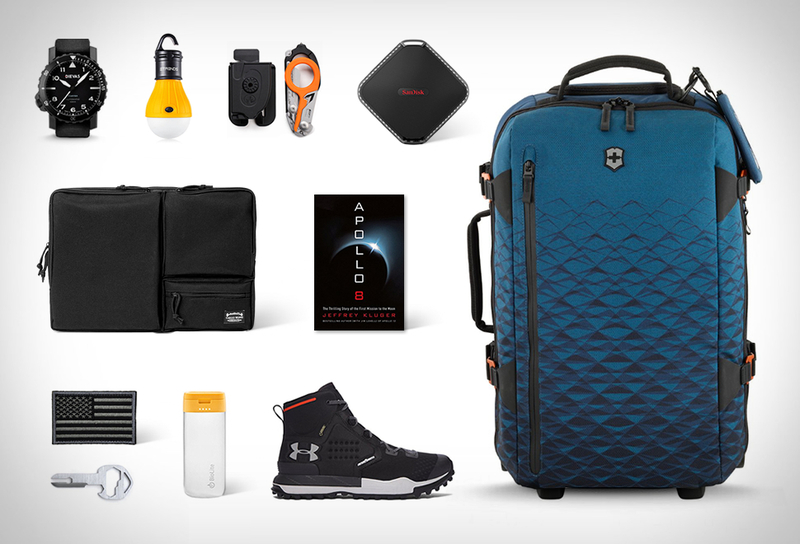 Originally conceived to carry photography gear, it’s users have adopted it for just about any use they can think of at this point, thanks to its endless potential to be customized to your own needs. Spurcycle bells create powerful, pleasant, enduring sound that resonates up to three times as long as most bells. Give notice well in advance with a loud, convincing tone. Precision built in the USA for a lifetime of way clearing. Available in a pure raw metal finish or black DLC (Diamond Like Carbon) coating. Capture Clip V3 is a metal clip that lets you rigidly carry any camera on your backpack strap, belt, or bag. This eliminates the need for a neck strap, sling, holster or bulky camera bag, and keeps your camera quickly accessible allowing you to be physically active without it swinging and swaying. Beryl premium bike lights are easy to operate, made to last, and are designed for maximum visibility while sharing the road with cars, making sure you’re seen no matter the situation. Bike helmet style has finally received the update it deserves, and the result is a thing of beauty. The Thousand Heritage helmet has a clean, understated look with simple lines and a couple of hidden features that make it just as functional as it is handsome. Inspired by a vintage typewriter, the Azio Retro Classic Keyboard is crafted with ultramodern details, and features a beautiful mechanical typing action that you’ll love if you’re a fan of really pounding those keys. The backlit mechanical keyboard features round keycaps, plus genuine metal, wood and leather finished surfaces. To make the Grafton Pen, Everyman took the classic click pen design and stripped it down to its essentials. They then thought considered each piece of the whole to make sure the they all worked together to make a thoughtfully designed, buy-for-life pen that won’t break the bank. 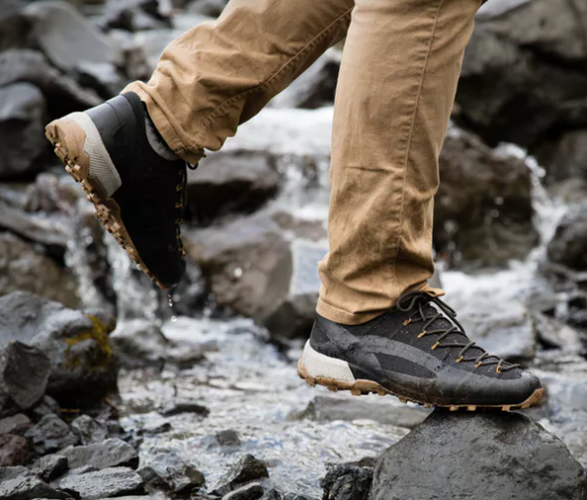 Premium outdoor shoe that combines that support of a hiking boot with the agility of a trail runner, all wrapped up in a clean, simple, minimalist design. The Unico is constructed from a one-piece Kevlar upper and a wool sock liner. The shoe also features nylon cables sandwiched in the upper for uncreased support and durability. This hockey-puck like device is a sophisticated wireless charger with a multi-port USB charging hub underneath. Wireless charging for any enabled device that’s placed on top plus four USB ports hidden underneath with an ingenious built-in cable management. Just as capable on land as they are in the sea, the Explorer Hybrid Shorts are ready for days packed with adventure of any kind. The quick drying, cotton polyester blend stretch fabric enhances performance in and out of the water. 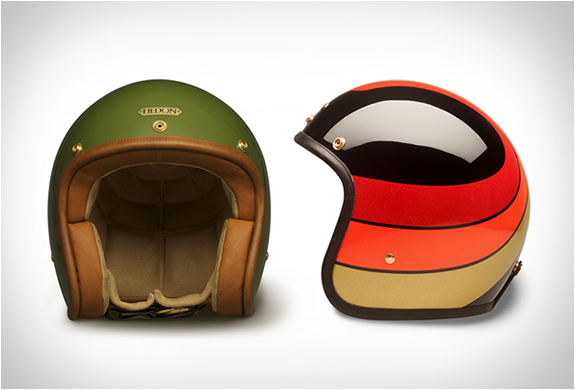 The Blackjack pays homage to the stylish drivers of Formula One in the 1960s and 1970s. The dial design is a clean but edgy nod to speed dials and roulette wheels, evoking the noir glamour of fast cars and midcentury Monaco casinos — all in Todd Snyder’s signature New York style. Another beauty from our favorite knife makers - The James Brand. The County is their take on a classic pocket knife, beautifully crafted, and with a single highly resistant 2.5" Stainless Steel blade, giving you the cutting ability you need in a slim, modern form. A great addition to any minimalist everyday carry. 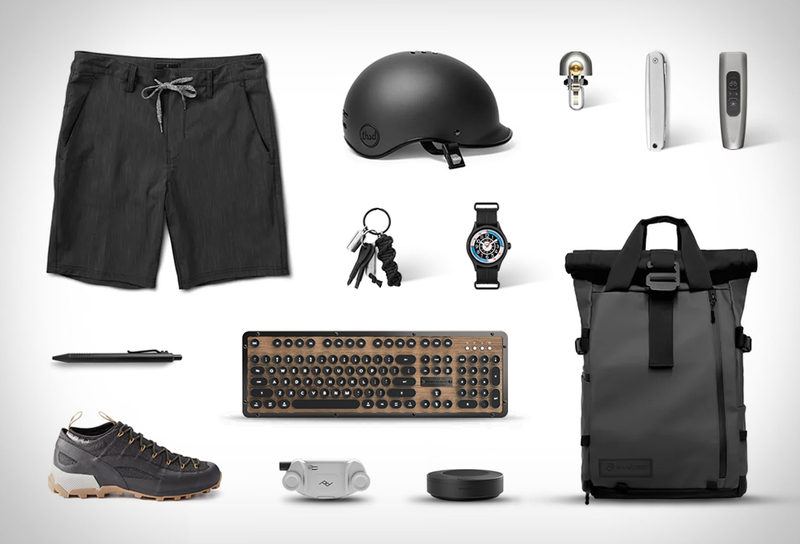 Huckberry took it upon themselves to build out an all-star EDC kit and compile it on the best keyring money can buy. All you have to do is carry on. Kit includes 1 Split Key Ring, 1 Woodchuck Wire Saw Keychain, 1 Screw Key Set and 1 Peanut Lighter.